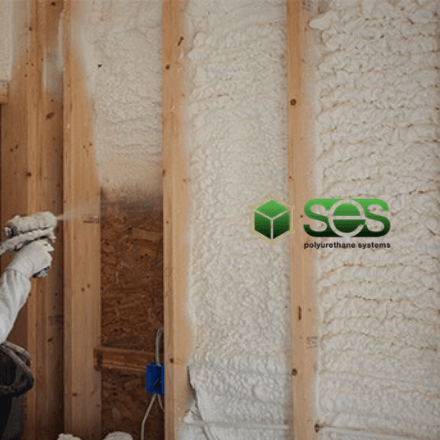 Building on the innovation and success of SucraSeal, Nexseal 2.0 closed cell foam has been engineered to deliver the same characteristics you have come to expect of an SES product: High Workability and High Yield. Higher Margin: Nexseal consistently yields 4500+ board feet with excellent adherence and high R-value. Universally Certified: Universally accepted by certifying agents: UL, EnergyStar, Commercial Wall (NFPA 285), IAPMO and also the Florida Building Code for Wind Uplift. Green At Heart: Environmentally friendly and formulated with Solstice® Low GWP Liquid Blowing Agent by Honeywell, Nexseal 2.0 lowers the carbon footprint in every building installation. All SES Nexseal documentation, manuals and resources available HERE.